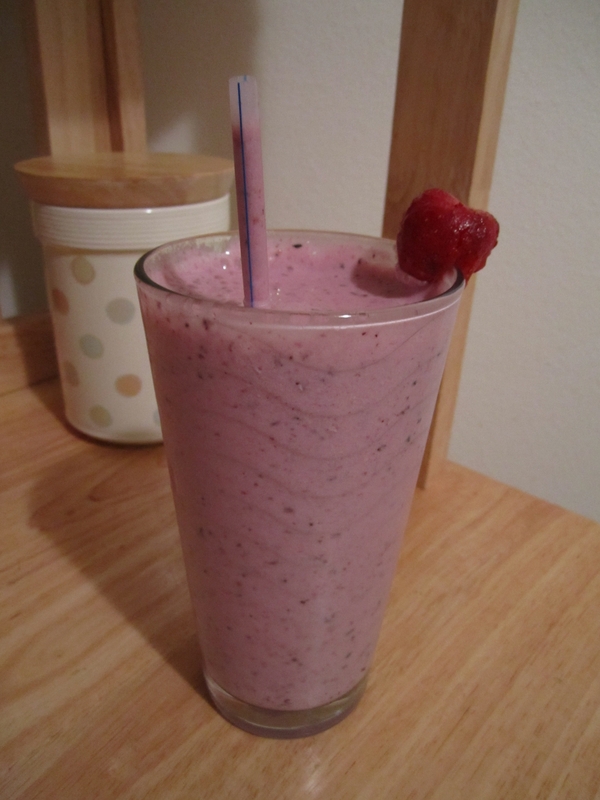 Low-Fat Strawberry and Blueberry Smoothie - Eat. Drink. Love. This healthy smoothie is the perfect snack for the summertime! It’s refreshing and good for you! If you have a hard time eating enough fruit everyday, then I recommend you try this smoothie as it will give you a serving (or two!) of fruit and blueberries are loaded with anti-oxidants that will boost your immune system! While many smoothie recipes use fruit juices, I use skim milk in mine because I don’t want all that sugar in my smoothie, but if you prefer a sweeter taste, go ahead and swap fruit juice for the milk or add a couple of teaspoons of sugar. 1. Add strawberries and blueberries into blender. 2. Add milk and blend until smooth. 3. Add yogurt and blend until the yogurt is completely mixed into the smoothie.